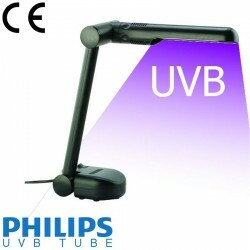 UVB Lamp with Philips UVB 311 Narrow Band Bulb for Phototerapy (311 nm). Perfect to use at home if you dermatologist prescribe you UVB or PUVA Therapy. Phototherapy is using the benefits of the sun to treat skin diseases like Psoriasis and Vitiligo, thus greatly improving patient's life conditions. 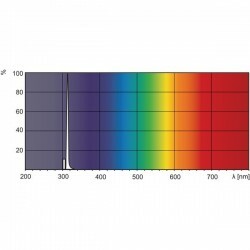 The treatment consists in exposing the skin to specific UltraViolet rays the "narrow spectrum" 311 Nm UVB. These are the most effective ones for the treatment of skin diseases and also the least harmful. Recently, this UVB phototherapy is gaining ground, supplanting the "traditional" PUVA-therapy because far more effective and much less constraining. 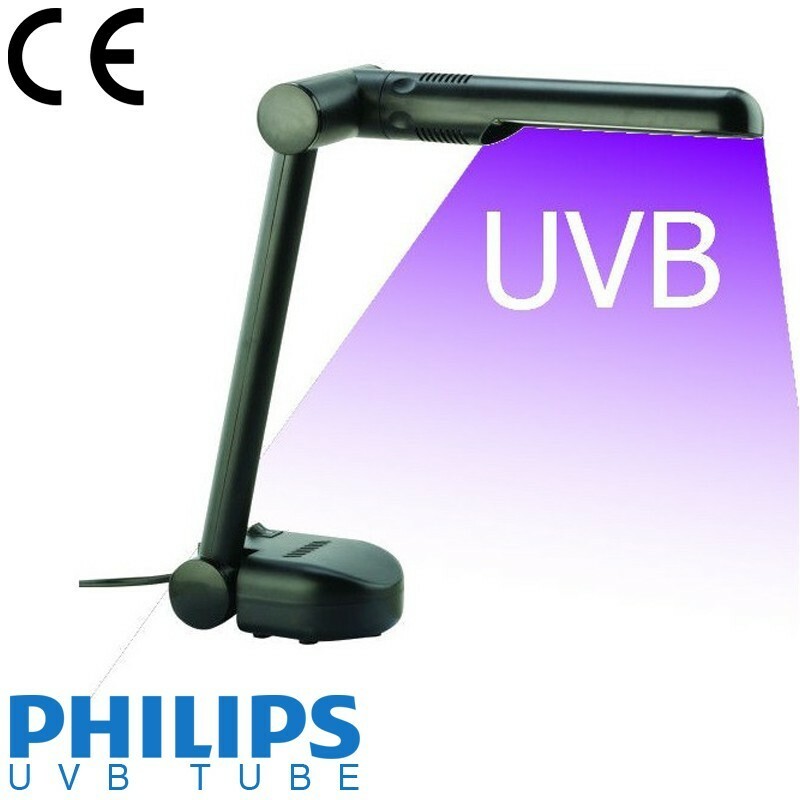 Previously, the UB treatments were only clinically performed but are now prescribed and proposed at home, thanks to the UVB Lamps. 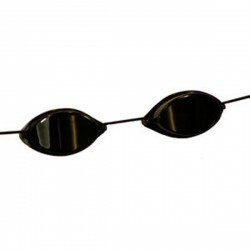 - focuses only on the affected areas (contrary to the UV cabins where all the skin receives UV). - Lamp with a Philips UVB 311 nm bulb for Phototerapy (type: PL-9 9W/01 - CE Certificate). 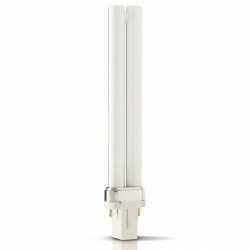 - 1 x Lamp with a Philips Narrow Band UVB 311 nm bulb (type: PL-9 9W/01 - CE Certificate). - 1 x Power Adapter 220-230V / 50-60Hz with standard European 2 round pins plug type only. UK type customers must use an European to UK plug adaptor.